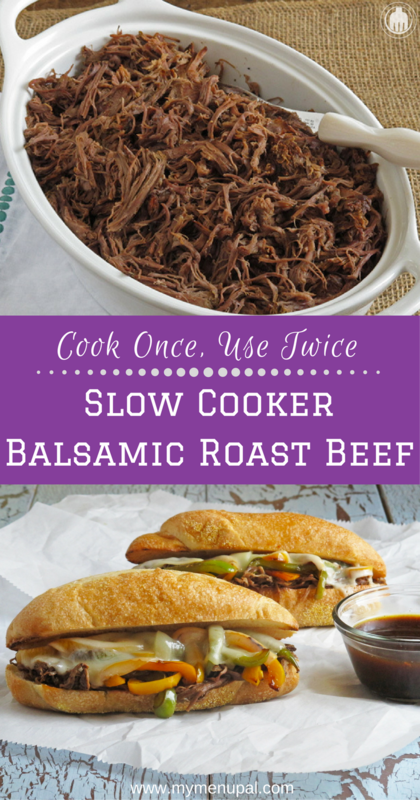 Beat the heat with this versatile Slow Cooker Balsamic Roast Beef! We are in the thick of summer and I don’t know about you but there are days that it is just too hot to turn on the oven or stove. Plus, I have an obsession with my slow cooker. 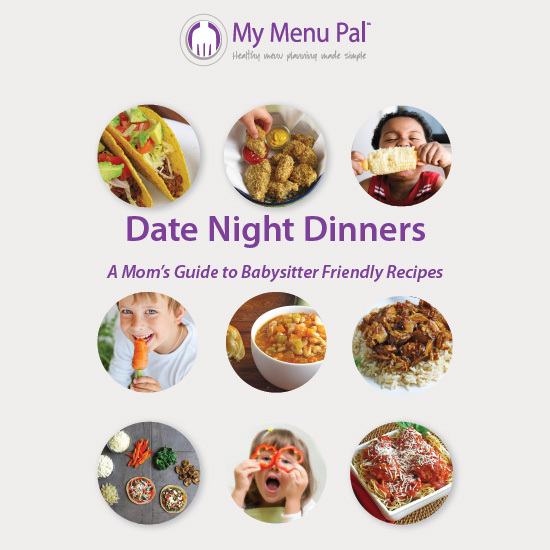 I use it year round because there are so many things you can cook in it, not to mention I can get it going in the morning rather than scrambling around at the end of the day trying to cook a meal. And that is the theme of this month’s Recipe Redux – beating the heat by cooking a meal in an appliance that doesn’t heat up the kitchen like a slow cooker, instant pot or pressure cooker. I have a pressure cooker that I primarily use to cook beans or make stock. I should use it more than I do but I still prefer my slow cooker. What I love even more than using my slow cooker are those recipes that are cook once, use twice! So when a recipe is both a slow cooker and has multiple uses, then it is a big winner in my book! 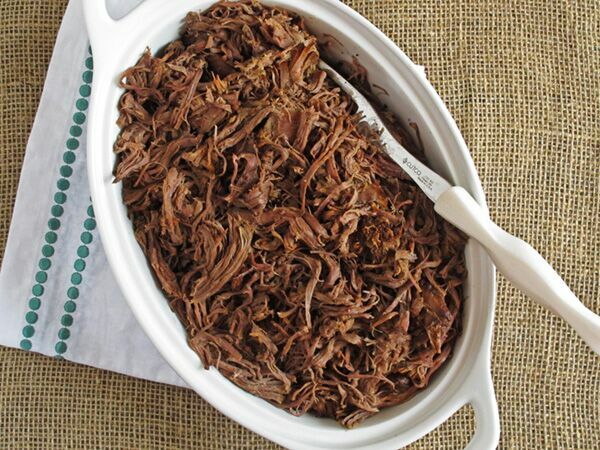 And this Slow Cooker Balsamic Roast Beef is just that. 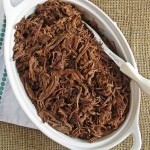 It’s also my favorite type of slow cooker recipe in that you just dump it in and go! If you want to mix up the sauce the night before, you can do that and just store it in the refrigerator until you are ready to put the meat into the slow cooker and top with the sauce. It really doesn’t get easier. And after 8 hours of cooking on low, the meat practically shreds itself. I like to mix the meat back into the juices after I’ve shredded it though Lesley prefers to serve it separate. Do whatever your family prefers. Either way, you can serve it with rice, quinoa or whatever grain you prefer. And of course lots of veggies on the side. This recipe also makes A LOT. 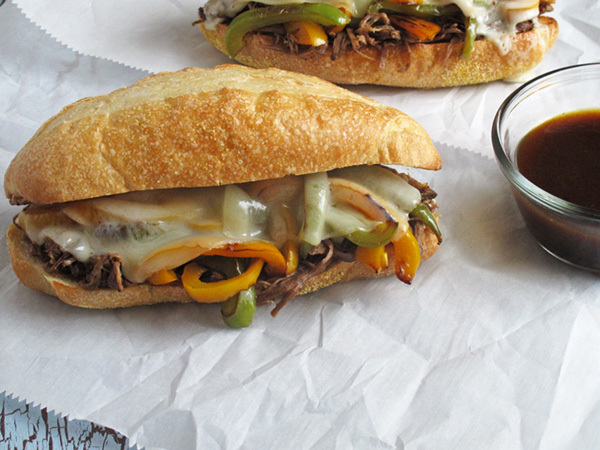 So the leftovers can be used for another dinner like our Roast Beef and Provolone Sandwiches. These sandwiches are so good, especially after the flavors have had even more time to come together in the cooked meat. In a bowl, stir together the garlic, beef broth, balsamic vinegar, Worcestershire sauce, soy sauce, and honey. Place roast into slow cooker and cover with the sauce mixture. Cook for 8 hours on low or 4 hours on high. 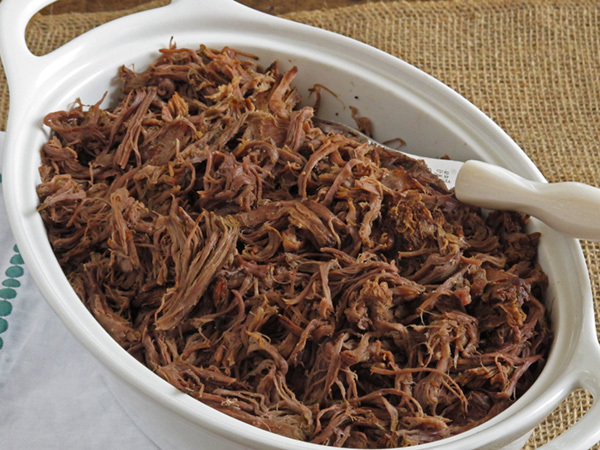 When roast is finished cooking, remove from the slow cooker and shred on a cutting board with two forks. Add the beef back to the slow cooker and stir into cooking juices. Serve. Make Ahead: The sauce for this recipe can be made up to 3 days ahead of time. This recipe makes a lot of meat that is easily freezable. Freeze leftover sauce and meat in separate containers to pull out for a quick meal on a busy night. The leftovers also make great sandwiches like our Roast Beef and Provolone Sandwiches. 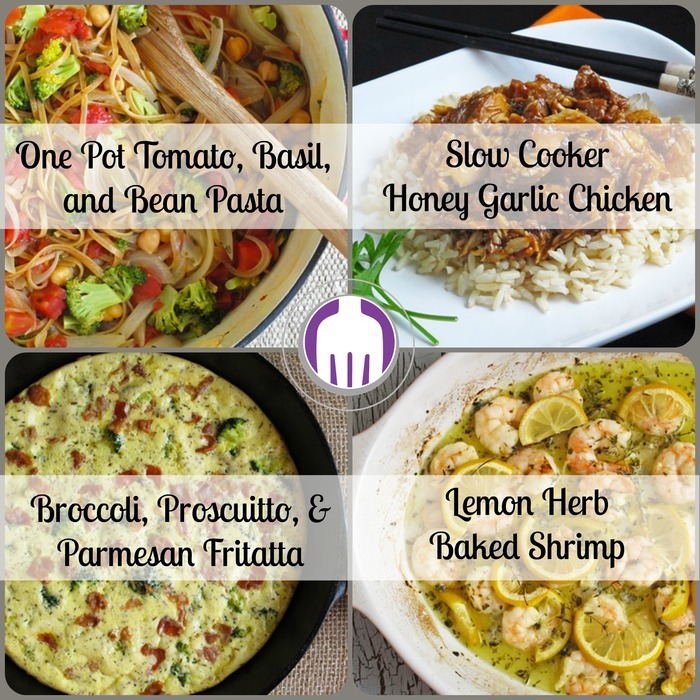 Be Sure To Check Out the Other Recipe Redux Beat the Heat Creations!